For the last of our poetry pamphlet launches in the Spring 2019 season, we travelled to beautiful Dorchester in Dorset, home to poet and writer, Gail Aldwin. 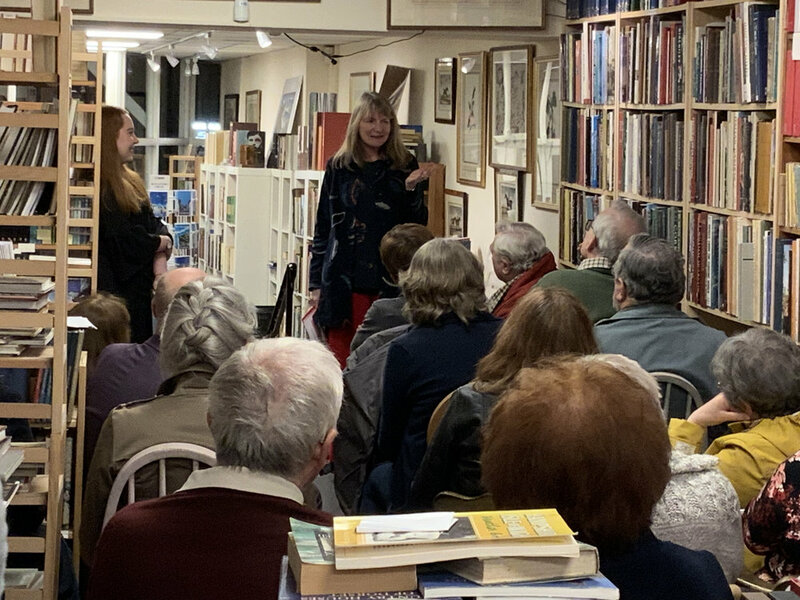 We joined together in her local bookshop, Books Beyond Words, for an evening of readings and music (from special guest, Magdalena Atkinson). What a wonderful thing to be completely surrounded on every side by books, books, and more books! … Gail answered questions and read poems from her debut pamphlet. Gail also read poems from outside her new collection, and talked about her debut novel, The String Games. Musician Magdalena Atkinson shared some of her music, which focussed on relationships and hope. We couldn’t get over just how wonderful it was to be framed by books! Not only did she play the keyboard, but she inspired silent awe with her other unique instrument. We had a fabulous evening! What a great bunch, a great venue, and a great launch! Some bonus photos! The day after Gail’s launch, we also travelled into nearby Bridport to deliver a workshop on giving and receiving feedback, then kicked back and relaxed on the seafront with some well-deserved fish and chips!